Porcelain veneers, crowns, bridges, prostheses … there are many possibilities to rebuild damaged teeth. Therefore, the patient who comes to the prosthetic consultation to Dr. Zarański first and foremost comes to have a honest conversation with the doctor about the problems and the best solutions. We meet a similar the case with a patient who came to the clinic. Mrs. Anna was disturbed by the gaps between her teeth. Anna is an active ocupationally and takes great care of her beauty. She has found out from her friend that before decided on any prosthetic solution to eliminate her problem, she could come to Dr. Zarański for a sincere conversation about the aesthetic tooth problems. During a conversation with a dentist, she learned that with the help of digital smile and dental photography, the doctor can show her the effect of using porcelain veneers. For this purpose the doctor made a mockup , which he put on Anna’s real teeth. The effect was staggering! Mrs. Anna saw and felt that the shape and color of the teeth, perfectly matched to the features, rejuvenated her and emphasized the advantages of her beauty. At this point, Mrs. Anna changed her mind about herself, she got rid of the beliefs that constrain her. She is confident and more often smiles. Anna’s radiant and happy face speaks for itself! Dr. Tomasz Zarański cooperates with the best prosthetic laboratories in the country, thanks to which the patient has the guarantee that the prosthetic works performed are of the highest quality. Digital smile design is only a part of the possibilities of modern prosthetics. What is your problem? A broken tooth? Destructive gap? Damaged front teeth? Gaps between teeth? 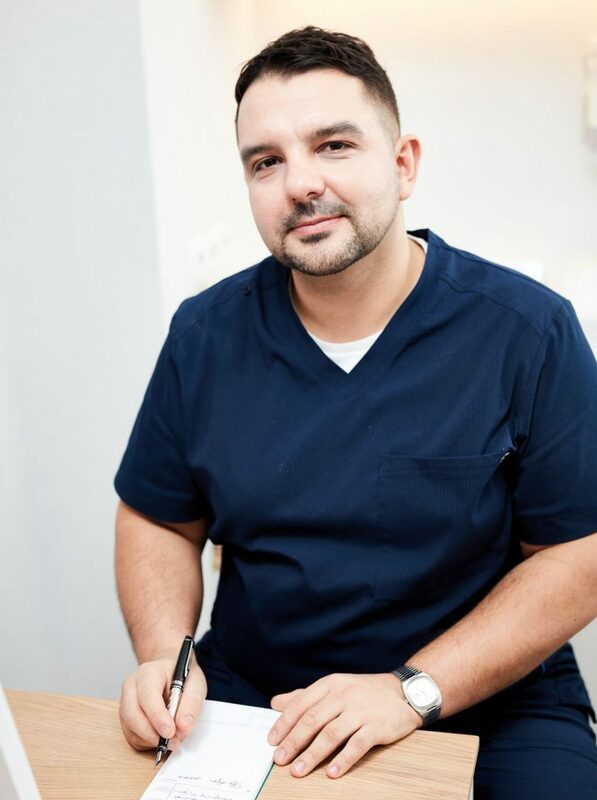 “I invite you to my authorial department of the Perfect Smile Clinic, where every day together with my team of experienced dentists I make dreams about a beautiful and healthy smile come true” – dent. implantologist Tomasz Zarański. Everything is great. Very competent and sympathetic doctor! Despite my very big phobia, the doctor helped me feel comfortable. And the first dentist who made me trust. I recommend it! – Julia, Nice, France.